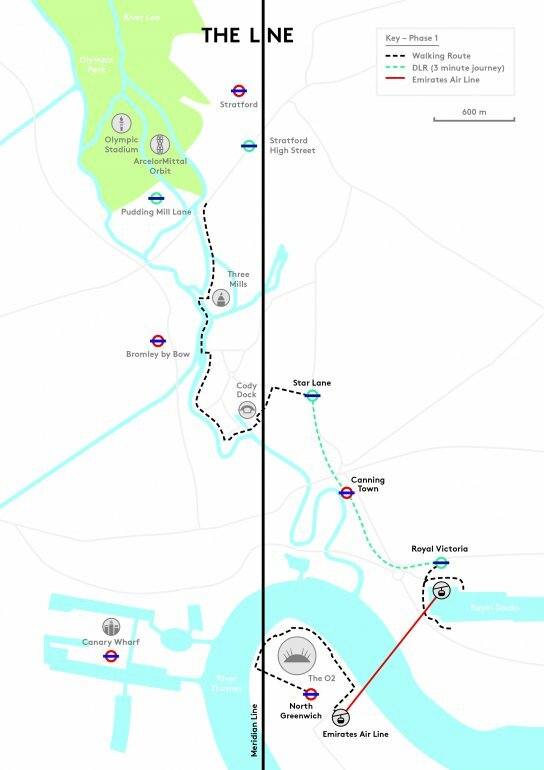 The Line will soon be another destination on London's rich tourist route. Initiated through crowdfunding in less than eight weeks, this sculpture park boasts works by the likes of Damien Hirst, Gary Hume and Martin Creed. They will be joined by Polish artist Piotr Uklański. Artists, galleries and collections were invited to propose works for consideration by an independent panel. Untitled (The Thing) by Piotr Uklański has been shortlisted among the pieces ready for installation in the sculpture walk. Piotr Uklański often draws inspiration from degraded areas of pop culture with the aim of setting them in a new context. His works speak just as much of spontaneous joy in the face of beauty as they do of a sense of guilt which emerges from its experiencing. He finds beauty in banal and familiar things, in places forgotten or those where he appears completely unexpectedly, involving his audiences in situations created with the aim of producing a "good" vibe, triggering a sense of nostalgia and sentimentality. The sculpture walk will link two of the iconic sites of East London: Queen Elizabeth Olympic Park in Stratford and the O2 in Greenwich. The artworks will be placed along the route and the visitors will be able to join the walk at any point. The idea was to bring high quality works out of warehouses and into a public space.